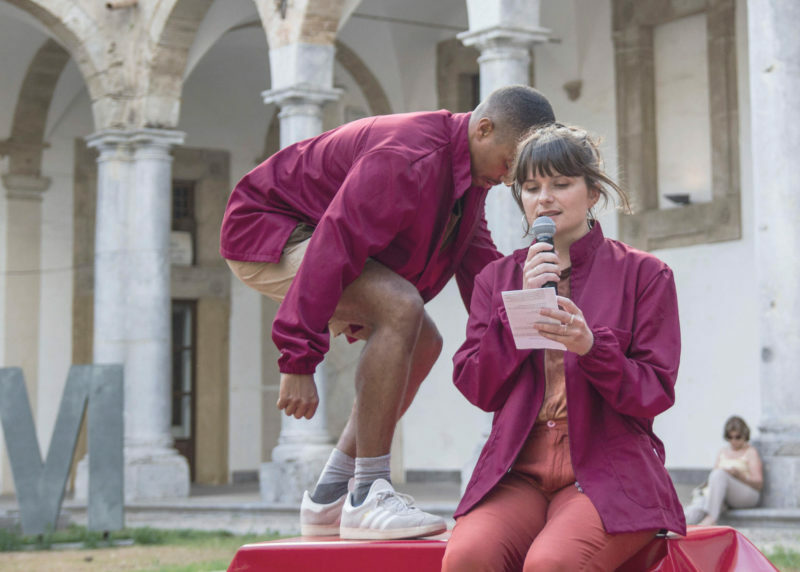 The Distance is Nowhere performed by Paul Maheke and Sophie Mallett at Galleria d'Arte Moderna di Palermo, Italy. Curated by Stella Sideli. Photo: Overall Adv. For ICA Performs, Paul Maheke presents The Distance is Nowhere, a performance created in collaboration with artist and filmmaker Sophie Mallett in 2018. Combining sound, text, and movement, The Distance is Nowhere explores transitional spaces, using water as a metaphor for the pathways among the body, information and knowledge, and sociopolitical and historical concerns.